The children at St Michael's gathered together to commemorate the end of WW1 and remember those who gave their lives in that war and other conflicts. The service was led by our friend Rev Philip Bromiley and we heard from Sam Woodhouse of Wessex Archeology, how the area outside our school was the largest training area for trench warfare in the country. He spoke of the many archaeological finds from this time along with some graffiti of names of some of the men training in the area. Some of the artefacts are currently on display in our school. 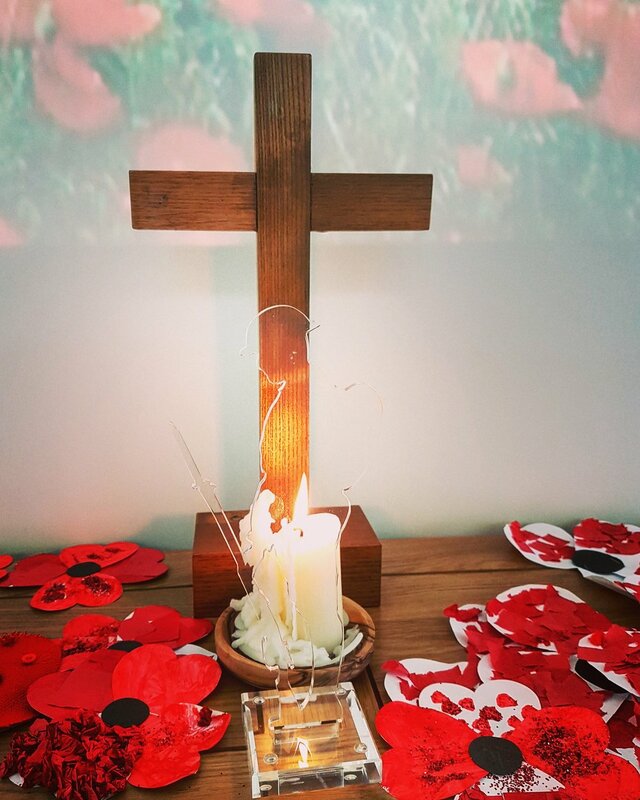 The children wrote prayers and made poppies to lay on the altar as part of the service. 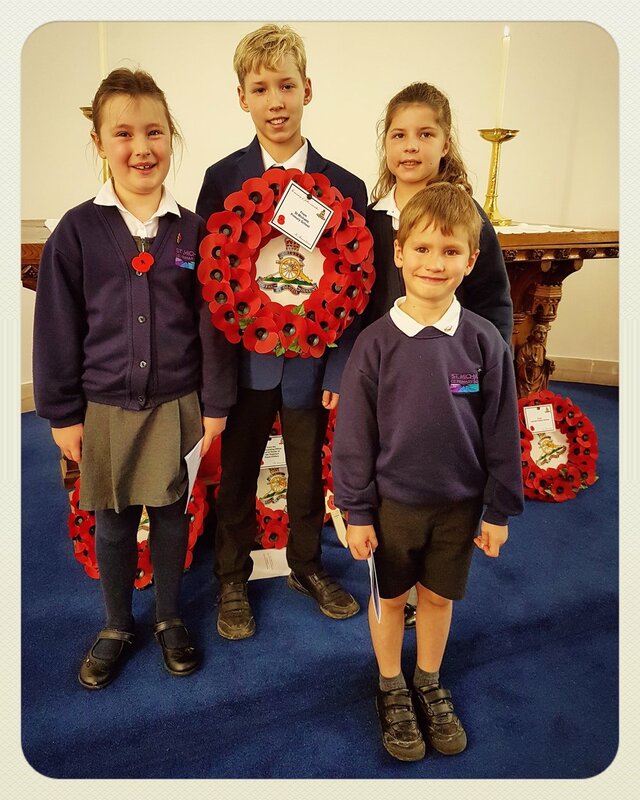 Four children accompanied Ms Phillips to the service of Remembrance at the Garrison Church at Larkhill. There they laid a wreath.